Spring is almost here! 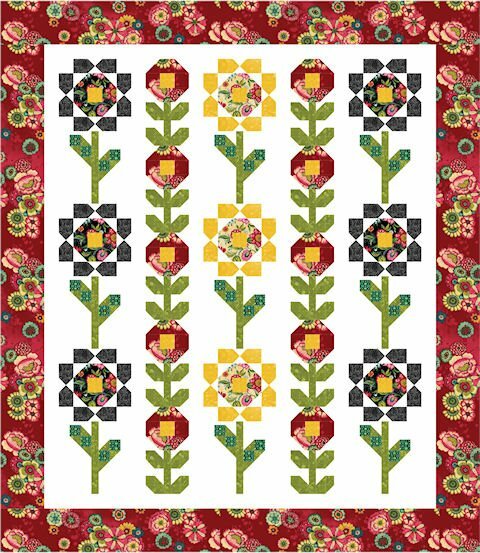 In case you can't feel it in the air where you live, you can dream of blossoms with this beautiful free pattern. The pattern is made up of squares, rectangles, and triangles. 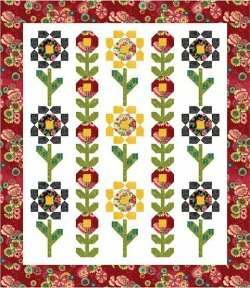 The pattern includes instructions with figures for the large flower block assembly, the small flower block assembly, and the quilt top assembly. 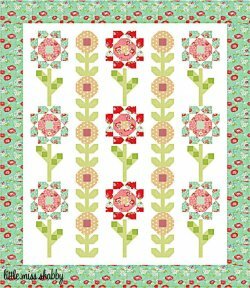 "I have been anxiously awaiting the time when I could share this pattern with you! 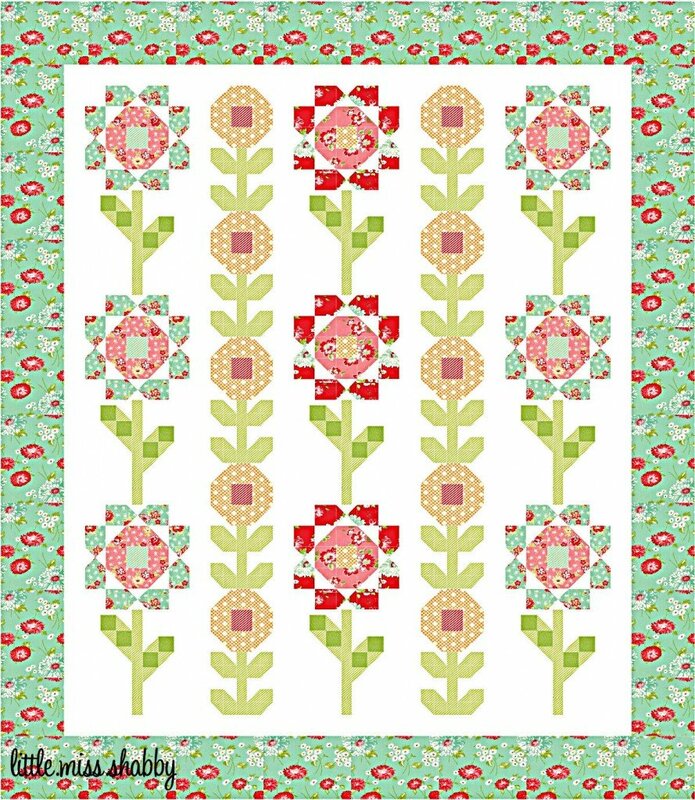 It is one of my favorites that I have designed for P&B Textiles. I designed it to showcase P&B’s Flower Drops line of fabric."